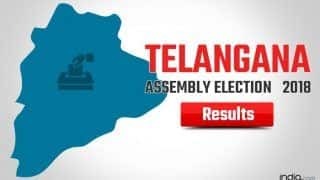 Telangana had gone to polls on December 7 and brought the TRS back in power with 88 seats. 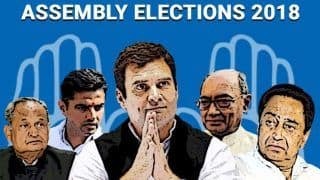 The Congress could manage just 19 seats while its ally, the TDP, won 1. The BJP could also bag only 1 seat. 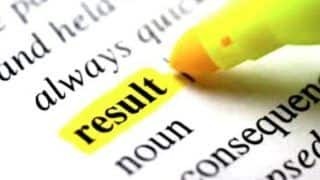 Going it alone in the polls, the TRS announced its candidates for 107 segments, including 105 at one go within minutes of the assembly dissolution, giving itself a jumpstart to the campaign and stunning the Opposition. 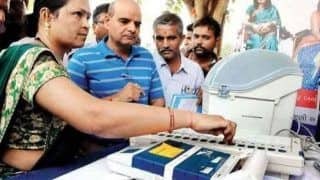 On October 16, Rao announced a ‘partial manifesto’ for the Assembly elections, revealing key promises of the party, which included loan waivers for one lakh farmers, increasing the Rythu Bandhu scheme to 10,000 from 8,000, food processing units in every district for women empowerment, increasing regular pension from Rs 1,000 to Rs 2,016 and physically handicapped pension to Rs 3,016 from Rs 2,000, and introducing unemployment fund of Rs 3,016 per month. 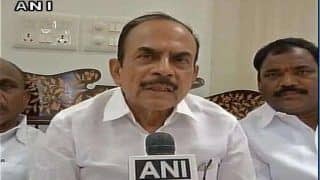 On the other hand, the main Opposition, the Congress announced the formation of a ‘Praja Kutami’ (grand alliance) with the Telugu Desam Party (TDP) headed by Andhra Pradesh Chief Minister N Chandrababu Naidu, the Telangana Jana Samiti (TJS) founded by retired Osmania University Political Science Professor Prof Kodandaram and the Communist Party of India. Naidu, stepping up his efforts for an anti-BJP front in the 2019 Lok Sabha polls, recently met former Prime Minister H D Deve Gowda, his Karnataka counterpart H D Kumaraswamy and DMK president M K Stalin. 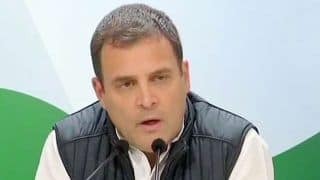 The Congress, which fielded its candidates on 94 seats in the 120-member Telangana Legislative Assembly, said it would leave 25 seats for its alliance partners _ 14 for the TDP, eight for the TJS and three seats for the CPI. 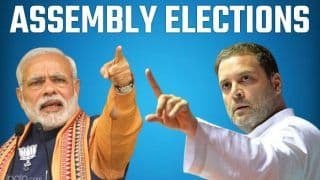 In the 2014 assembly election, the TRS bagged 63 seats with a vote-share of 34 per cent and the Congress 21 seats with 25 per cent vote-share. The TDP had fought the poll in alliance with the BJP then. 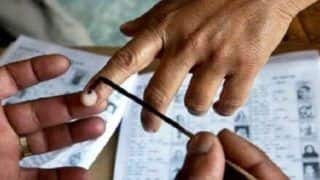 The TDP won 15 seats with 14.5 per cent vote-share and the BJP five with seven per cent vote-share. 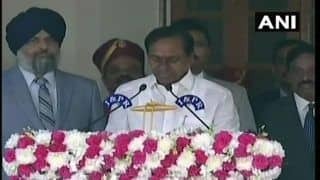 The TRS had termed the Congress-led alliance opportunistic and, in particular, launched sharp verbal attacks on Chandrababu Naidu, accusing him of putting hurdles in Telangana's development. 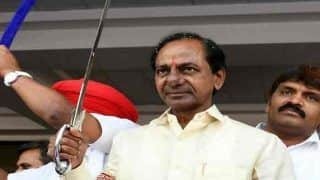 Congress leaders charged the K Chandrasekhar Rao government with failure to honour pre-election promises and seeking to perpetuate family rule. The BJP's go-it-alone strategy didn't work at all. 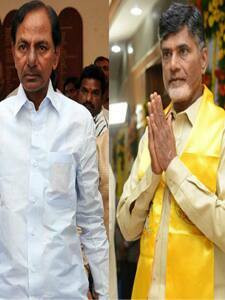 An opinion poll by C-Voter had projected a clear majority of 64 seats to the Congress-TDP combine in Telangana. 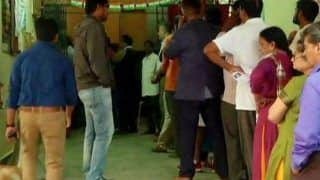 But exit polls had predicted a majority for the TRS.